Vestibular neuritis and labyrinthitis are a pair of related inner ear conditions that can impair your sense of balance. Understanding the distinction of the two requires understanding a bit about the anatomy of the ear. 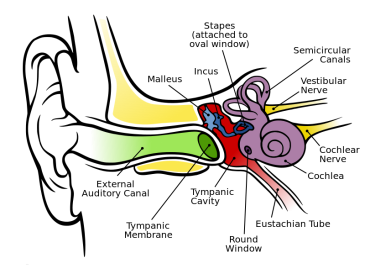 Collectively, the cochlear, the cochlear nerve, and the vestibular nerve (the squid-snail-shaped thing and the yellow branches to its right) are known as the labyrinth. The vestibular nerve is what is responsible for keeping the brain informed about how your head moves and is positioned, while the cochlear parts produce and transmit hearing signals. Vestibular neuritis is when the eponymous nerve becomes inflamed and begins creating conflicts. Labyrinthitis is when most or all the labyrinth becomes inflamed. The two conditions are sometimes used interchangeably, and in most cases, refer to the same problem, except vestibular neuritis is more specific about which part of the ear is affected. What Causes Vestibular Neuritis and Labyrinthitis? Infection is the main cause of vestibular neuritis, usually by the herpes virus. No, not the herpes virus that causes cold sores, but a member of the same family. Other potential culprits can include influenza, rubella, mumps, hepatitis, and other types of upper respiratory tract infections. If you are experiencing a whole-body viral infection (mononucleosis, measles, etc. ), then the vestibular nerve may also be affected. Labyrinthitis has the same viral causes as vestibular neuritis, but the condition can also come from bacterial sources—though this is much rarer. The reason for the difference is that the vestibular nerve does not have many places where bacteria can grow easily. 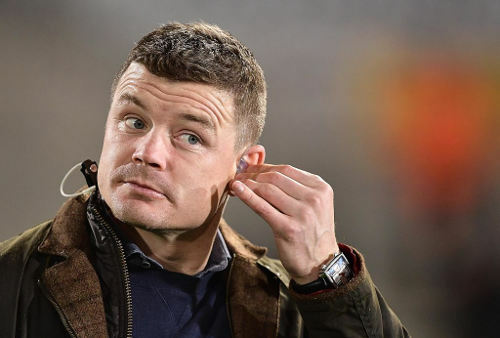 The cochlea, being a fluid-filled chamber, can offer better breeding grounds. Bacterial infections from the middle ear can sometimes migrate to the cochlea if left untreated. As mentioned earlier, the role of the vestibular system is to help your sense of balance and keep the brain aware of head movements. Inflammations of this system create faulty signals that confuse the brain. This results in the primary symptom of vertigo, a false sensation of movement or spinning around. During the initial phase of the condition, the vertigo can appear suddenly, and the effect can range from mild unsteadiness to being so disorienting you can’t stand up or walk properly. Nausea and vomiting may also appear, as can difficulty focusing the eyes. Labyrinthitis presents with many of the same symptoms as vestibular neuritis with one distinct exception. Since the cochlea is involved, labyrinthitis can present with auditory difficulties like a ringing in the ear or hearing loss. Symptoms will persist until one of two things happens: the underlying infection is resolved and the inflammation fades, or the brain, through a process known as “compensation,” adapts to the altered signals and begins interpreting them properly again. It can take around three weeks for this to happen. In some cases, the symptoms will continue to persist and become chronic. In these situations, treatment usually involves both making sure there isn’t another vestibular disorder at play and the use of specialized physical therapy to retrain the body’s sense of balance.